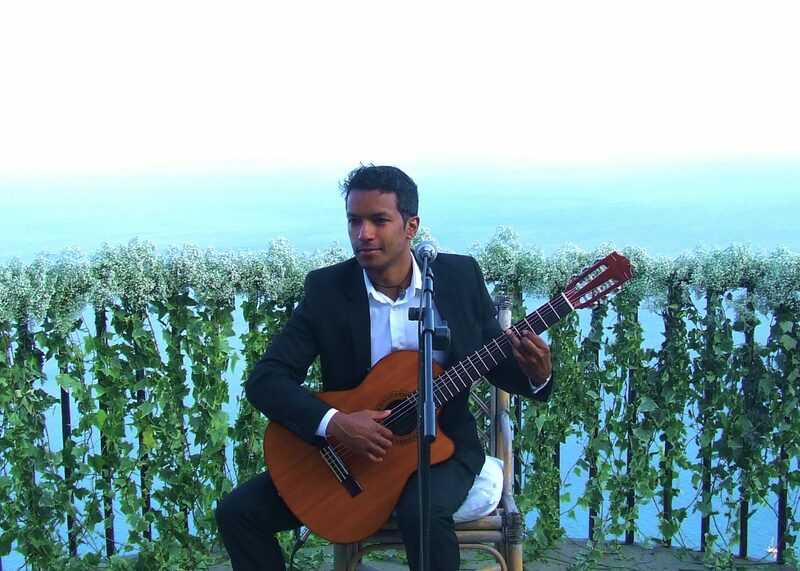 George’s music combines various styles of salsa, creating a vibrant and original sound. His arrangements are subtle and sophisticated, capturing the zest of Cuban life. His repertoire covers a broad range of styles originating from Spain and Latin America, including the samba, salsa, zouk and mambo, to name but a few. In his career as a singer/songwriter he has worked with the world famous salsa band, Charanga Latina, in Cuba. Since moving to London he has become well established on the Latin circuit, and has sung throughout the UK for celebrities and The Royal Family. George can also perform as part of a dynamic salsa band ranging in size from two-piece (guitar/vocals and bongos), to an exciting seventeen-piece setup. The band has performed in many prestigious venues across the UK and South America. This colourful ensemble creates a unique sound that will leave a lasting impression. George can perform alongside the stunning Brazilian singer Caru Lins, and often has Cuban dancers as an addition to his show.